Transform your little one into an adorable teddy bear with this Yogi Bear costume for a child. Yogi Bear is a talking cartoon character created in United States that has reached most of the world. This famous good humoured grizzly bear with brown fur lives in Jellystone and is known for wearing a green Stetson hat and a white shirt-collar with an elegant tie in the same colour as the hat. Another trait that defines him is his passion for tourists and their food, and he is always trying to do get a picnic basket and hide from the ranger, if you can't get your trophy considered the day wasted. In these times of sadness, he dreams of living in the city of men, walking among them and eating their dishes but his good friend BuBu gets him back to reality. 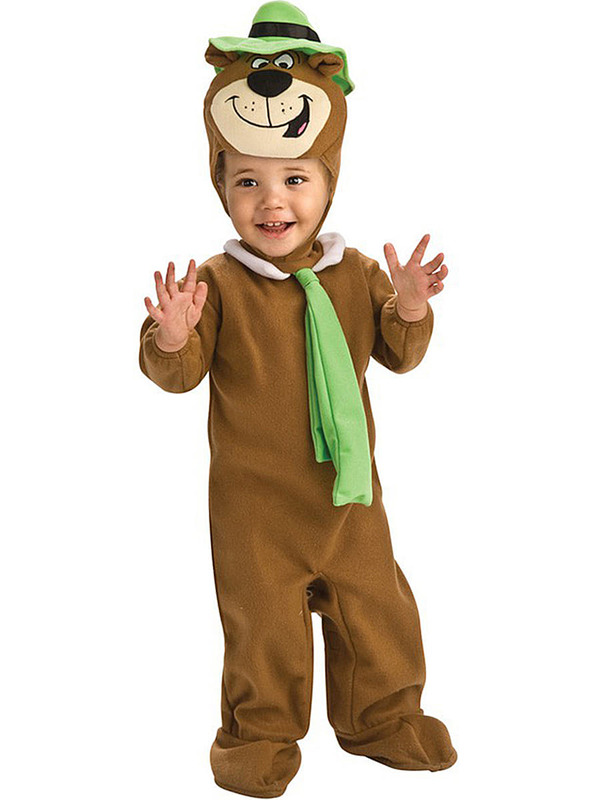 This charming Yogi Bear costume includes a full-body in brown like a bear’s fur, with a green tie characteristic of this character. You can’t miss out on the headpiece of the bear’s head with his famous green hat. Upload your photos to Instagram with the hashtag #funidelia followed by #funidelia20489.